Communists still exist in Russia - but it doesn't mean that the whole country is still loyal to Karl Marx's ideas. It's definitely not. 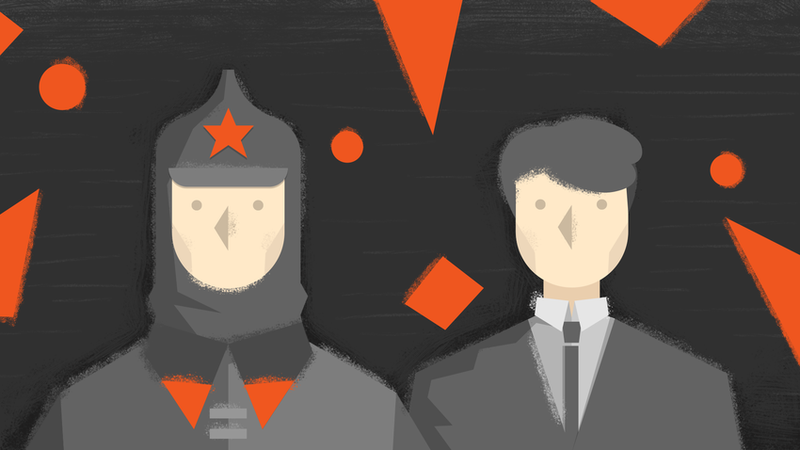 While communist and leftist movements still exist in Russia, they no longer determine state policy. The CPSU ceased to exist following the collapse of the USSR in late 1991. Boris Yeltsin, the first Russian president, and a former CPSU member, banned the party, which had 18 million members at the time of its demise. While this was the end of Russia as a communist state, which it had been since 1917, this didn’t mean the end of communism in the country. “The road of human development leads towards communism… Its mottos and moral grounds can be found in Jesus Christ’s Sermon on the Mount… it will outlive all the Trumps, Americas and ourselves…” says Gennady Zyuganov, the long-time leader of the Russian Communist Party (CPRF), which was established immediately after its predecessor, the once all-powerful CPSU, disappeared from the country’s political landscape in 1991. Zyuganov and his party remain the leading defenders of communism in Russia, and in every parliamentary election since 2003 they have mounted a challenge to the ruling party, United Russia, but always came in second with a modest result. The communists are unable to grow their ranks: in the 2016 parliamentary elections the CPRF won only 13 percent of votes (compared to 19 percent in 2011); and in 2018, only 11 percent of the electorate voted for Pavel Grudinin, the CPRF’s presidential candidate. In general, Russia isn’t active in getting rid of its communist past: for instance, there are as many as 5,400 statues of Vladimir Lenin, founder of the USSR, across the country. But political experts and historians, as well as ordinary citizens, are sure that no matter how nostalgic their compatriots are about the USSR, communist ideas are unlikely to prevail. “Our current leaders don’t want to go back to the revolution, military communism and so on,” wrote Dmitry Drize, a political observer for Kommersant, adding that by clinging to the past with its Lenin statues and the Mausoleum on Red Square, Russian authorities are trying to keep calm those who are nostalgic for the Soviet era. But this doesn’t mean they are enamored by communist policy towards politics and the economy. But it's not the case anymore. The Soviet dream never came true, as Venyakin reminds: “The communist project lost its economic rivalry with Western states.” Great disappointment prevailed, and communism in Russia was left on the dustbin of history. There it remains now. Who are the Russian ‘oligarchs’ and do they really exist?